Police await the results of a blood test as they consider pressing the more serious charges of endangering a child. Bon Jovi lead guitarist, Richie Sambora, was charged on Tuesday night in Laguna Beach on suspicion of driving under the influence of alcohol. Police say they pulled the rocker's black Hummer over after it drifted across the center lane into oncoming traffic. Sambora was given a field sobriety test, which he failed, and was taken to the police station for a blood test. Sambora, police say, was cooperative. Because Sambora was in the car with three passengers, including 2 minors, he may face an additional charge for endangering the welfare of a child. Police are awaiting the results of the blood test before deciding whether to press additional charges, and expect the results within the week. One of the minors in the car was Sambora's 10 year old daughter. Sambora spent time in alcohol rehab earlier last year, after the death of his father and a break-up with girlfriend Denise Richards. Sources close to Bon Jovi report that bandmates pressured the lead guitarist to get some help. 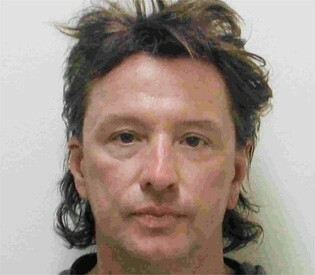 After spending about 5 hours in custody, Sambora was released on his own recognizance.